Matias Saari has an almost decade-long history with the Mount Marathon Race, including a win in 2009 and being on or near the podium almost every time he has raced. 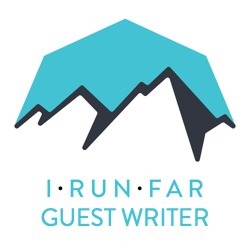 In the following interview, Matias talks about the Mount Marathon course, what his performance expectations are, and how the race may or may not change with increasing outside-of-Alaska interest. Check out our Mount Marathon preview to see who else is racing. iRunFar: Mauri Pagliacci of iRunFar here with Matias Saari on the previews of the Mount Marathon Race. Matias, nice to meet you. Matias Saari: Great to be here. iRunFar: You just arrived to town. Where do you live actually? Saari: I live in Anchorage in the foothills of the mountains and do two-thirds of my training right out the door which is pretty convenient. We like to come down to Mount Marathon a couple days early and scout out the lower mountain maybe one last time and then race on Saturday. iRunFar: But you pretty much know the course. What’s your history with this race and the course? Saari: This is the ninth time I’m running it. I was living in Fairbanks when I first ran in 2007. A friend of mine had done pretty well in it, so he convinced me to give it a try. Yeah, it just took off from there. Once I’d done it once, it’s such an amazing and unique race, you get hooked, and you want to come back every year. I just started improving and went from there. iRunFar: You’ve been all around the podium on your previous years. What are your expectations for this weekend with the whole competition and the weather which is looking pretty cool? Saari: Yeah, you can’t have expectations in this race. Anything can happen and usually does. That said, I’ve been in the top-four places each of the last seven years, so that would be… I’d like to continue that streak although it’s definitely a tall order this year. I mean, if you’re off a little bit, you can drop from second to 10th. Yeah, it’s really exciting here having Rickey [Gates] back and Kilian [Jornet], of course, and a bunch of Alaskans running really well. I’ve never been higher than third to the top of the mountain. I sort of try to limit the damage and stay close and then catch some guys on the downhill. That was my strategy at least last year. I started off a little bit slower and was maybe in ninth place and then just caught a few guys on the up and a couple more on the down. For me to do well, I’ve got to have a great day and a couple of the favorites need to be a little bit off. But win or lose, second or 15th, it’s just a celebration out there. iRunFar: How do you feel with this race? What’s your feeling? It’s a 100 years old. It’s a huge story around it. How does it involve in your life? Saari: For us, it’s a one-of-a-kind race. The history is really palpable going back. This is the 100th anniversary but the 89th running, I think. [Editor’s Note: 2015 is the 88th running of Mount Marathon.] You think about your predecessors out there and just the extreme nature of the course is unique. We have other technical races, but nothing quite like this. There aren’t a lot of mountains where you can run 2,000 vertical feet of scree at breakneck speed and then tie into a pretty crazy creek section and descend a cliff and after you do all that you’ve got thousands of fans to great you. It’s always a rush. That never gets old when you come off the mountain and you hear a big roar from the crowd. Then, yeah, you sort of exhale, too, when you get to the road that you made it down safely. You don’t think about the danger, but there is certainly palpable danger, and people do get hurt in this race. Yeah, then you just run it in the road with whatever you have left. Like I said, it’s a celebration. After we finish, we all go into the Yukon Bar and if you show your bib you get a free beer. Then the party is on for a long time. iRunFar: For those, like me actually, who really don’t know you that well, you’ve actually been second in the Dipsea a couple of weeks ago. What’s your background with trail running or running or with sports in general? Saari: Long story short, I didn’t start running until I was 27 years old and moved to Alaska. I’d been hiking and an avid hiker before that. I forget what the trigger was, but I just started running and really, really liked it. I went from there. I spent 10 years in Fairbanks, and Fairbanks is a smaller community. The runners there do 5k’s and 10k’s and do the roads and do the trails, but I really started gravitating toward the trails. I decided to leave Fairbanks about five years ago, and one of the main reasons was the mountains called me. I was commuting six hours four or five times a year just to do running or ski races in Anchorage. That got a little bit ridiculous. So I decided to move to the mountains, and I’m really glad I did. That’s how I got here. The two races that are on my calendar every year that are non-negotiable would be the Equinox Marathon up in Fairbanks which is the first marathon I ever ran and a really special race in its own right, and Mount Marathon’s the other one. I was fortunate enough to win the race in 2009, so you’re in for life for free that way. If I want to skip a year, I can and I don’t have to worry about losing my spot, which is an issue. They say the only thing harder than running Mount Marathon is getting into it. I really think this race… having Kilian come here and Rickey, this race is going to change. And if Kilian puts out a post from the summit of Mount Marathon about how much fun he’s having and 12,000 people like it on Facebook, you figure there are going to be 20 or 30 of them that want to come to the race next year. We’ll see how that impacts the race. I don’t think the race committee is going to just let everyone in. There’s still a lottery, and then they decide on invitation. It’s great exposure for the town. We’re really happy that they’ve come. iRunFar: That was my last question, actually. How do you feel it’s going to change after foreigners come to the race and also if a non-Alaskan guy wins the race, how are you going to feel about it? Saari: It’s not just any foreigners, it’s the best all-around mountain runner in the world. If Kilian wins, we’ll be happy for him. We’ll celebrate. Of course, we want to keep it in Alaska, but if Kilian or Rickey happen to win, they’re going to have to earn it for sure. You know, how the race is going to change is hard to predict. It certainly has, not that it’s been a secret for Alaska, but it hasn’t had that much exposure outside of Alaska. That’s definitely changing now with the 3,022 movie and all the social media. I think it’s changed for the positive, but we’re happy to have any and all come here. iRunFar: Matias, thank you very much for your time, and have a great run on Saturday. Saari: You’re welcome. Thank you.